A bundle of my first five dramatic play sets! 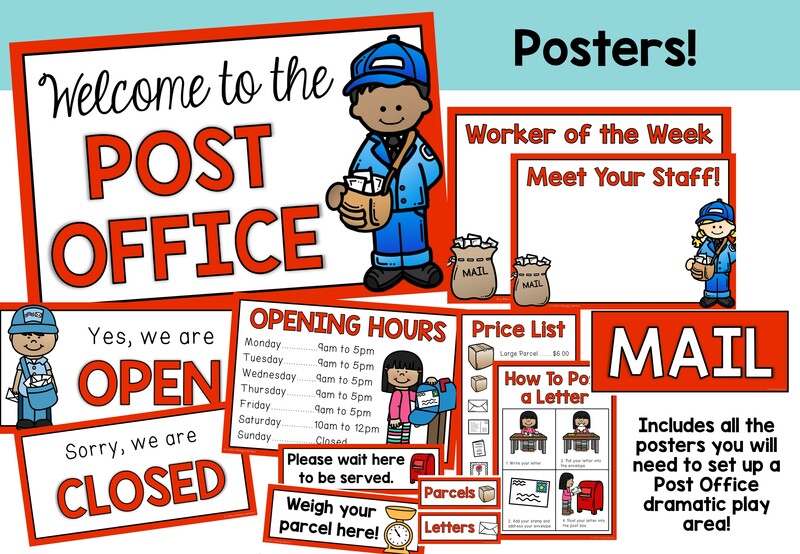 Your little learners will love setting up a Doctor’s Clinic, Vet Clinic, Post Office, Coffee Shop and Donut Shop! 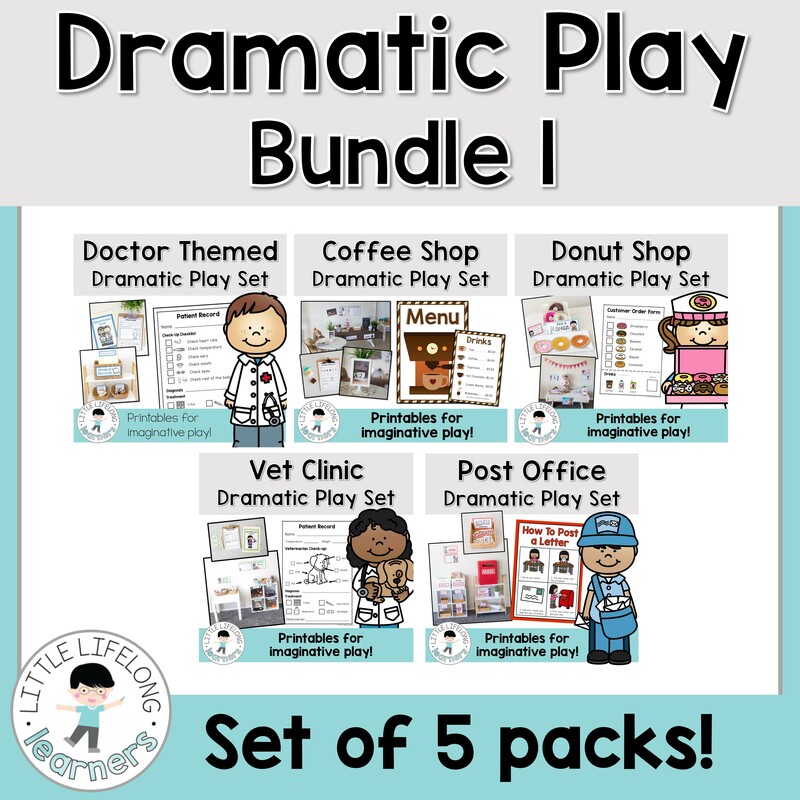 Dramatic Play and play-based learning is a great way to develop oral language skills, cooperation, content vocabulary and social skills in your early childhood classroom! Each set includes posters, labels and printables ready to print and use straight away in your dramatic play areas! You’ll find photographs of each area all set up and a list of suggested resources and materials to collect, many of which you probably already have! Check out the preview images to see that there is a lot included!! 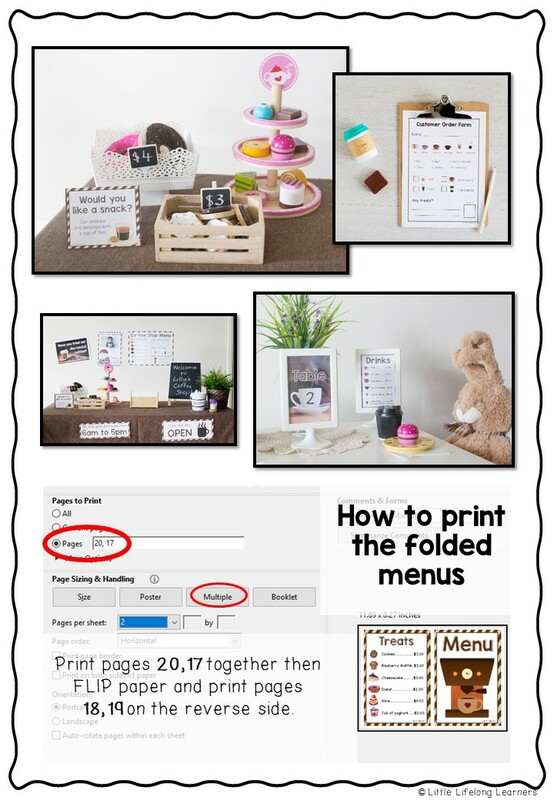 You may choose to use all of the printables or you may select just a few. 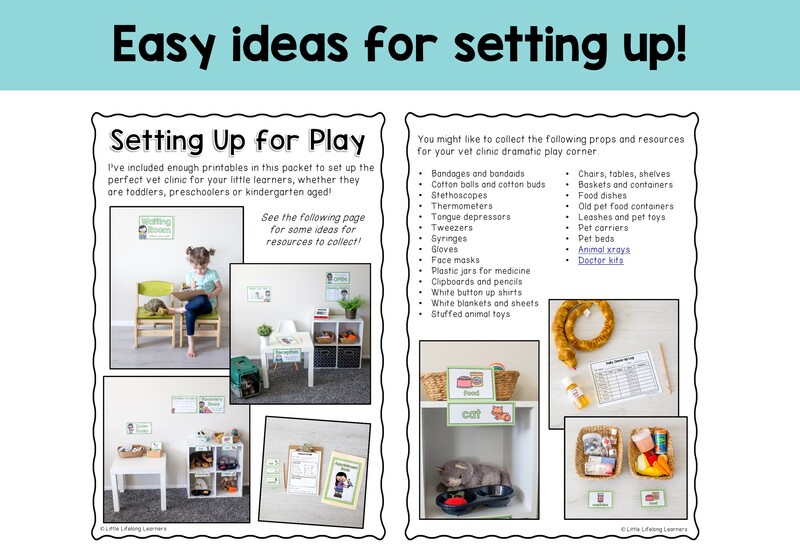 You might even like to encourage your Little Learners to help create additional items for your imaginative play areas depending on their age! Please be sure to check out the preview images to see exactly what’s included! Please note that this is a DIGITAL product and that no physical product will be delivered. You will be able to download the PDF files or ZIP file at any time by logging into your account after purchase.